Melbourne (January 02, 2019): Pakistani Pacer Usman Shinwari delivered the fastest bowl of the Big Bash League last night against Melbourne Stars. 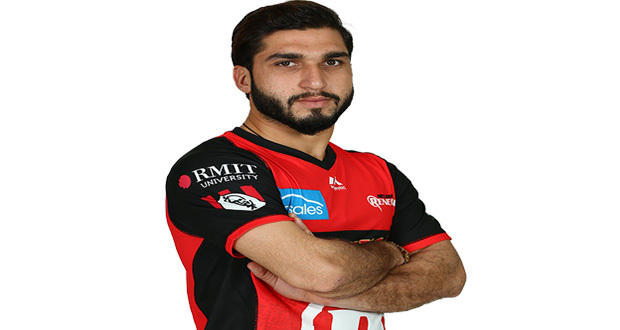 Playing for the Melbourne Renegades, Usman Shinwari’s magical spin against the Melbourne Stars proved to be astoundingly fast. Shinwari delivered the ball at a staggering speed of 151 km/hr. For this feat, the internet is in high appraisals of him and has been lauding Shinwari’s performance since then. Shinwari was signed by the Melbourne Renegades for this edition’s Big Bash League in November.